I actually liked this set of episodes more than some of the Star/Marco ones. I mean, some of them are interesting, but it all comes down to shipping teen drama. But these episodes are just so calm and in the moment I’m actually more interested in the suporting characters than I am in Star. She’s just… So mean and serious now. ( I know it’s suposed to represent her getting more mature and responsible, but I feel like they just lost all her charactization. Sure wouldn’t complain to have more episodes with Glossaryc training Meteora, all their interactions were so cute, and I love how she really IS getting another chance at life, to be a proper magical princess and all. Also, I liked that Ludo was able to stand for his brother and get over the wand thingy. Do you usually only get one comment….? Oh well, guess I’ll have to do it, then. Of course JanTom is a thing! Well, a fandom thing, anyway. Yes, there’s no precedence for it in the show, which is a valid objection. But the ship is still popular,and it has to do with Janna’s fascination for all things dark and supernatural. 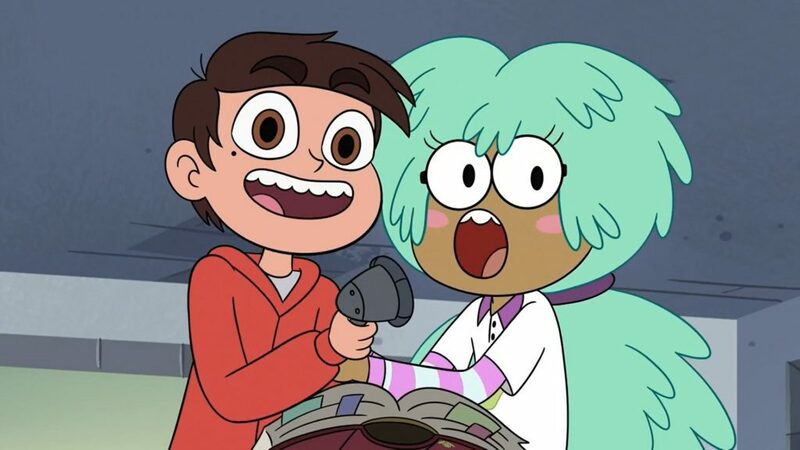 The fact that Janna suddenly appears in way more episodes than ever before since the show took place on Earth, has also made shippers hopeful that Janna has a hidden purpose. Anyway, based on the new descriptions, we’ll find out this weekend if there’s any substance at all to a possible JanTom ship.